[UPDATED + COMMENTS] The Financial Markets Authority has issued a public warning about a registered financial adviser after dealer group Preferred NZ alerted the regulator about his dodgy practices. In April Preferred NZ provided the FMA with information that one of its advisers, Brian Ferguson, had copied and pasted client signatures into insurance policy documents. 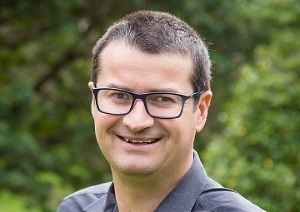 Preferred NZ chief executive Simon Fisher (pictured) says the issue was identified through its internal processes. He said the company could have swept the issue under the carpet, but choose to take it to the FMA as it was the right thing to do. "We want to help give consumers confidence around financial services. What we did was the right thing to do not just for our business, but for the financial services industry as a whole," he said. The FMA said, in a statement, it is satisfied that Ferguson contravened section 34 of the Financial Advisers Act 2008 because the conduct involved was misleading or deceptive, or likely to mislead or deceive. "In two separate instances, Ferguson either personally carried out or requested a member of the administrative staff to insert a client’s signature on documents by creating a copy of the client’s signature and physically taping it onto the missing signature box. In one instance, Ferguson had the consent of the client. In the second instance, Ferguson claims it was done with the verbal consent of the client." The FMA said it accepted the conduct was not intended to mislead those purchasing the policies. But it was likely to mislead the insurer who did not know of the substitution. Fisher doesn't believe there was any harm done to the clients and they required cover. Fisher said the group terminated its contract with Fergusson when the breaches were identified. The misconduct occurred between October 2016 and April 2018. A search of the Financial Service Providers Register shows Ferguson is still registered as an adviser and operating under the business name of Total Client Solutions Ltd in Palmerston North. He is a member of the Financial Services Complaints Limited disputes scheme. Naomi Ballantyne, managing director of Partners Life, said it would sever its connections with any adviser who behaved in this way. "We are very strict on any fraudulent behaviour and have been instrumental in prosecuting offenders. The industry can not afford to have people who behave in this way representing it." Ferguson should be struck off the FSPR and not allowed to continue practicing as an adviser for such conduct. How can he ever be trusted again? Well done Preferred NZ for taking firm action. FMA, surely should be doing likewise! And did the client agree to this.... we can not destroy people’s credibility with only half the info ! Slades. Don't hold your breath.I lodged a complaint against an advisor who was a serial offender for non disclosure of client's medical conditions. Advisor given a slap over the wrist with a wet bus ticket. There is an interesting take on the law in the reported FMA statement. I would have thought the only person who could be "satisfied" that S34 of the FAA had been breached would be a judge hearing a prosecution in the Courts. FMA could of course have a view or belief that Fergusson had breached s34, but it is never up to the prosecution to be satisfied that an offence has been committed. If that was the test, every accused being prosecuted would be found guilty. Unless of course we have Humpty Dumpty law. Good on Preferred for taking the action they did. Client sanctioned or not, it is the use of a fraudulent document and anyone in financial services should know better. With the burden of taking the case through court, due to the lack of RFA regulation, the FMA approach is probably the most effective action from their perspective. Clients seem to have an idea that signing documents for someone else (partner) or advising a copy/paste for document use is ok. It's not. Far from it and our contract law is based on the integrity of the person signing is the person signing. As advisers we should not be taking the easy path because we can, we should be protecting our client's interests to ensure they have the ability to claim when they need it and educating them on the right approach along the way. Slades, with RFA's the FMA doesn't have the disciplinary committee to take this to, so they would have to go to a full prosecution, as Murray has outlined, which would be a sledgehammer in this case. The public warning is an effective alternative tool. Though likely to be a wet bus ticket in reality when it comes to clients. Murray, the FMA have a wide range of powers including: they can revoke licences, seek criminal prosecutions, publish warnings, impose conditions etc. So, yes, the FMA are 'Judge and Jury' within the powers permitted to them by the Financial Markets Authority Act. I agree with Murray. What process was taken to ‘determine’ Ferguson’s ‘guilt’. The FMA cannot be judge jury and executioner. What opportunity did Ferguson have to defend himself. What were the charges exactly? Beware those who rush to condem without knowing the facts or the law because you could quickly be on the wrong side of a spurious judgement call if this is anything to go by. The FMA has to put out all details. Transparency is critical. Tash, on the basis that Preferred identified this internally, and then escalated it; and knowing Simon and how he operates, I would be very surprised with him taking this externally with the FMA, and publicity, if there wasn't good evidence to support the outlined position. And then with the FMA, they take a lot to get moving on anything, they will have had a level of due process too, before they took action. So no, we don't need a whole lot of dirty laundry, the facts appear quite simple, an adviser forged a clients signature. Weather it be by copy paste or physically writing it themselves, it's still fraud. From the warning, seems two client files were involved. 1. Were the two clients asked whether or not they confirmed the information that was in the applications? 2. Were the clients asked if they had asked the adviser to apply facsimiles of their signatures? 3. Did Preferred receive any share of the commission on any policies issued as a result of the applications? JP HALE so I take it you have done a full investigation into the facts, taken statements from all concerned and have legal training so know the requirements for a fraud crime? If not then you simply cannot make the bald statement you did. I have been critical of the FMA release for not giving proper reasons. Our industry is not served, nor is professionalism advanced, by non-existant examination and improper legal analysis of any 'guilt'. Tash. I would have thought that the proper reason is that he "copied and pasted" clients signatures. It is irrelevant whether or not it was done with the client's authority. Legal documents require the clients original signature, not one copied from another document. The client declares that they have read the document being signed and that the awnsers are true and correct. How can this be achieved when the document is not in front of the client, and the signatures have been "pasted' to the document. We are starting to see, from some comments, that the word ethics has adiferent meaning to some people. Ron Flood - you may be correct but this is not the same as breaching section 34 of the FAA which is what the FMA themselves said was their justification. If we want increased professionalism in financial services we need to do things right and with proper authority (legal or otherwise) before we make any judgement calls. Tash. Surely the actions are 'deceptive' to the insurer. The insurer has an expectation that the form has been sighted by the insured and then signed by that person, not 'pasted' to the form. Ron - again his actions may be deceptive to the insurer but it is not at all clear section 34 of the FAA applies when no financial adviser service is being performed to the person deceived! Also, the adviser IS the insurer for application purposes because of the 1977 law. This fact can't simply be ignored, it is another potential reason section 34 can't apply! You can't mislead yourself! Tash. Section 10(1) states "and so acts within the scope of his actual or apparent authority". I would not have thought this would legitimize the cutting and pasting of signatures. Ron. If the adviser says “no problem we can just cut and paste your signature’” what do you think most customers would believe their apparent authority was? Tash, frankly I don't care what part of the rulebook the FMA threw at the adviser, the fundamental issue is they copied and pasted a client signature and that is fraud. It's up to the FMA to figure out the rules and apply them and address it accordingly. As a side matter, I have exited 3 advisers (cancelled their agencies) in the past for this sort of conduct, with the full force and support of the legal team of the insurer. So no, I am quite clear on my position with this and it's relation to the law of the land. As to breaching s34, meh. However, with point 1, A financial adviser must not engage in conduct in relation to the provision of a financial adviser service that is misleading or deceptive or likely to mislead or deceive. I think it is fairly clear that this applies. The DOCGH without the knowledge of the client ticks this box. The reality is the adviser obligation does not only apply to the client, it also applies to the insurer and how the adviser represents the client to the insurer. Adding in the 1977 act section 10, the adviser in knowing of the situation the insurer is deemed to know the situation. With the insurer, if they knew about the situation, would reject the application and not offer the cover. The second one is the DD, from the bank perspective this borders on a financial crime. As this is a document to access funds from a bank account without the express authority of the client. There is the provision in D&C forms for the application form that permits the use of a facsimile, however, this is predicated on the original signed form being able to be produced. In the case of the DOCGH, this form needs to be the original signature, and the DD has no authority to be used in a facsimile situation, the banks and insurers operate on the basis that the original document for the direct debit authority can be produced. A facsimile to start with is not authorised, open/shut, end of story. In actual fact there was NO fraud here. The clients were happy with their outcomes. What actually happened was that an administrative corner was cut. Clearly this is unacceptable and a reprimand was called for and given. Lesson learned, time to move on. In actual fact there was NO fraud here. The clients were happy with their outcomes. What actually happened was that an administrative corner was cut. Clearly this is unacceptable and a reprimand was called for and given. Lesson learned, time to move on. MediCare, I suggest you have a read of the contracts and commercial law act, quite clearly falls into the forgery definitions used. One man's forgery another man's fraud. Agree it was administrative corners cut, and the FMA response was appropriate to the level of harm caused. I hope your PI insurer knows you are norw providing legal commentary. Either you attended a different law school to me (me Otago early 1970s) or you missed some lectures. Forgery is a crime under the Crimes Act. I cant recall a contract law statute - in my days in class, most of contract law was common law. Well I hope your PI covers acts of error Murray. Try relying on current law not the 70's. Suggest you look at NZ Legislation and type in the word contract or if you can'r figure how to do that just google contract law - you might be surprised at the number of references to Contract and Commercial Law Act 2017, not that I'm claiming that this Act is relevant just that it exists. What's that old saying - oh yeah "look before you leap". Maybe JP had a point. Who knows I'm certainly not a lawyer and wouldn't claim to be one as my PI doesn't cover any advice I'm not qualified to give.